With six games in the books, last year’s top two teams go head-to-head on Saturday evening, Napoli travelling to the same Juventus Stadium that was the site of their greatest triumph last season. Thanks to Kalidou Koulibaly’s header, the Partenopei managed a win at the home of the Serie A champions, only to lose at Fiorentina the following week to blow their chance of clinching victory in the title race. That meant that Juve held on for a seventh-consecutive Scudetto, but much has changed for the visitors after Carlo Ancelotti replaced Maurizio Sarri in the summer, the latter also taking key midfielder Jorginho with him to Chelsea. That has led to something of an overhaul, but Napoli’s Lorenzo Insigne insists he and his team-mates are not going to start looking too far ahead this time around. They will hope to do just that, but it will not be easy against a team that already finished above them, then went out and signed Cristiano Ronaldo for €112 million, reinforcing a side that was already the strongest on the peninsula. Juve’s midweek win over Bologna means they have started the 2018/19 season with seven consecutive victories in all competitions, looking comfortable on each occasion and particularly strong at home. Meanwhile Napoli have overcome a tough start to life under Ancelotti, winning each of their last three league games while conceding just one goal. They have enjoyed a remarkable run away from home too, going undefeated in 33 of their last 35 Serie A matches on their travels, including last season’s sensational win at Juventus Stadium. That occasion however marked the first time they had taken three points away to Juve in decades and was only a third home league defeat for Juventus over the last five seasons, the Bianconeri unbeaten by any other domestic opponent since December 2017. 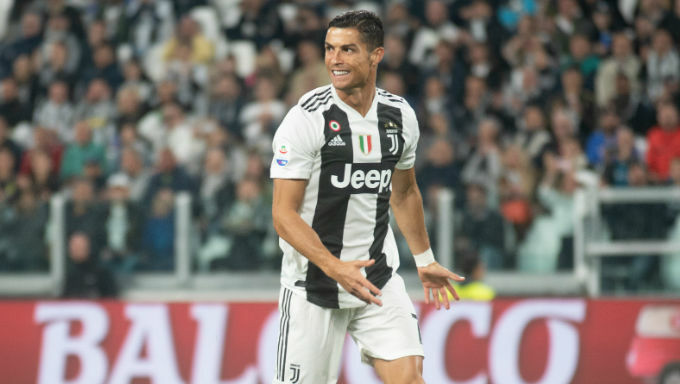 From a Serie A betting perspective, it is difficult to look beyond a positive result for Juventus, with Betway offering a best price of 4/5 on a Bianconeri victory or 1/5 on the home side recording a win or draw which seems most likely. A quick glance at the two teams would seem to indicate that this game should see a high number of goals, with Juventus having scored at least two goals in their last seven Serie A matches and the fact there have been over 2.5 goals scored in six of Napoli's last seven league games. However, it should also be remembered that this fixture finished 1-0 to Napoli last term, while the reverse saw the Bianconeri grab the only goal of the game as they claimed all three points at the Stadio San Paolo. As a result, it is worth taking the under in the goals market, with 888Sport offering odds of 10/11 that there are under 2.5 goals or a very tempting 11/4 that there are less than 1.5 goals scored on Saturday. Is The Stage Set For Cristiano Ronaldo? This fixture has belonged to Gonzalo Higuain over the last two seasons, the Argentina striker bagging five goals in his six appearances after swapping Napoli for Juve in the summer of 2016. He has since moved on to AC Milan, but his former Real Madrid team-mate Cristiano Ronaldo has arrived and – after going goalless against Bologna on Wednesday – he will be desperate to get on the scoresheet. Further compounding his desire to find the back of the net will be the knowledge that he will miss next week’s Champions League clash with Young Boys, set to serve a one-game ban following his red card against Valencia. With all that in mind, it is tempting to note that Ronaldo is available at 13/5 to be the first goal scorer or 4/5 to net at any time with Bet365, who also have some other intriguing offers centred around the Portuguese star. Indeed, the same bookmaker is offering 12/1 that Ronaldo scores in a 1-0 Juventus win, or 3/1 that he scores and the Bianconeri clinch a victory by the final whistle.